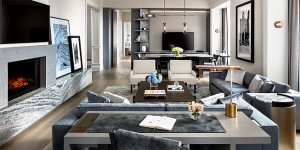 St. Regis Hotels and Resorts today announced the highly anticipated opening of The St. Regis Toronto, marking the iconic luxury brand’s debut in Canada. 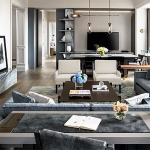 Owned by Innvest, the landmark hotel is set to elevate Toronto’s luxury hospitality landscape with its world-renowned bespoke service, signature rituals and exquisite culinary offerings. The St. Regis Toronto’s thoughtfully designed 12,000 square foot event spaces can accommodate gatherings of all kinds, from executive meetings to extraordinary celebrations. Dynamic 30th-floor meeting rooms offer sweeping views of downtown and can be custom-tailored with St. Regis and Astor Ballrooms connecting via a grand staircase on the 9th and 10th floors. The hotel also offers guests the opportunity to escape to Canada’s highest urban luxury oasis at the Spa at The St. Regis Toronto. Located on the 31st and 32n d floors, the Spa includes an infinity-edge saltwater lap pool with beautiful panoramic views of the Toronto skyline and state-of-the-art fitness center on the 32nd floor featuring a movement studio for yoga and pilates.